Our blog has so many new things in store! 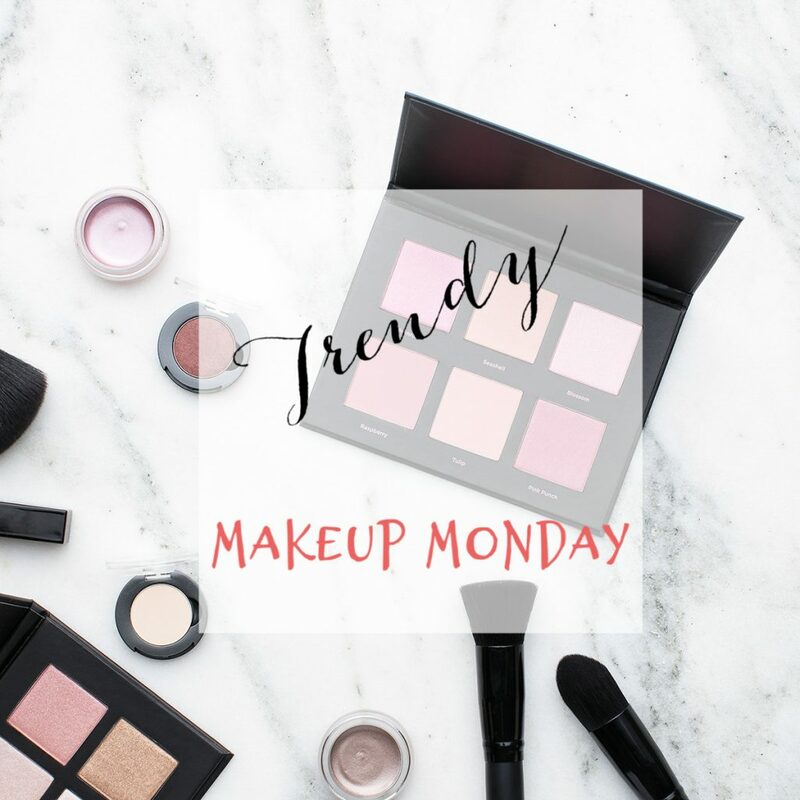 Starting this week, every Monday, we will bring our Trendy #MakeupMonday Edition! This week, I am bringing my Travel MakeupMonday Edition! You know how much I love to travel, right? Some items on my makeup bag stay all year long, but some items change with the seasons or the destination. 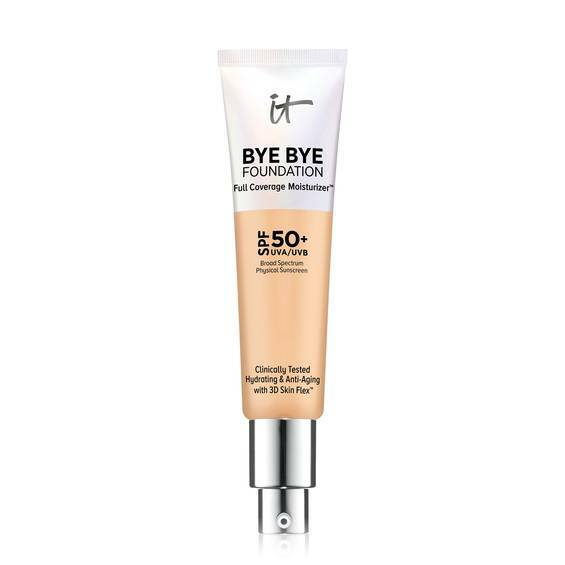 They change because the weather is a huge factor when it comes to skin care and make up! Good make up starts with a good foundation, no pun intended! It really starts with good skin! Having beautiful skin, for me, starts with what you put into your body, including healthy food habits, water intake and ends with a great skin care routine! My travel skin care products include a good moisturizer, cleanser and night cream. All the containers need to be TSA friendly as far as size and I usually opt for wipes instead of a liquid cleanser. Jafra has amazing products in small containers, so, they are my go to line when I travel or when I’m at home. Here are some of the products on their line that I love: Jafra Cosmetics. I change the brand of wipes, but always try them at home first, since some brands give my skin redness. My makeup bag includes 2 choices of lipgloss and/or lipstick, a glow stick, instead of blush (since my skin is usually dry from the travel), foundation, eye liner and mascara. That’s it. 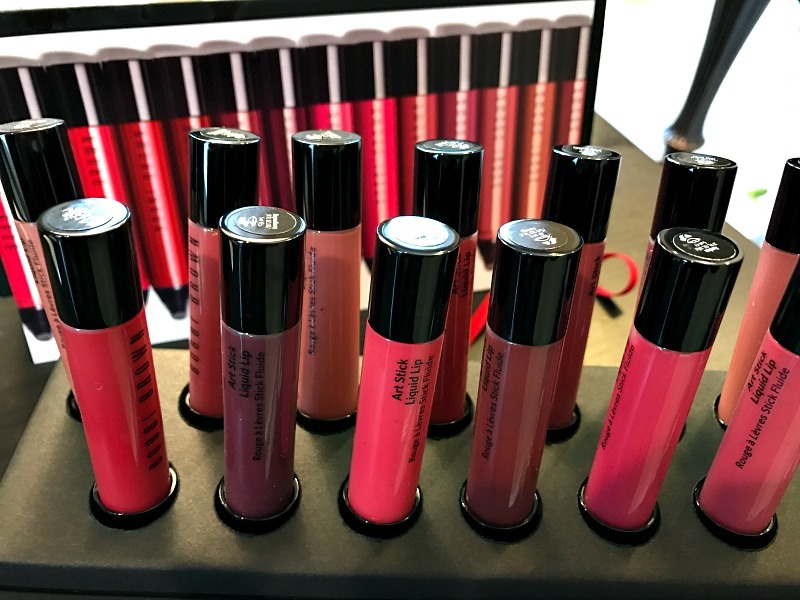 I love Bobbi Brown Liquid Lip Collection! I love Maybelline Strobing stick! Best tool to make you glow, and give your cheeks that beautiful tone! 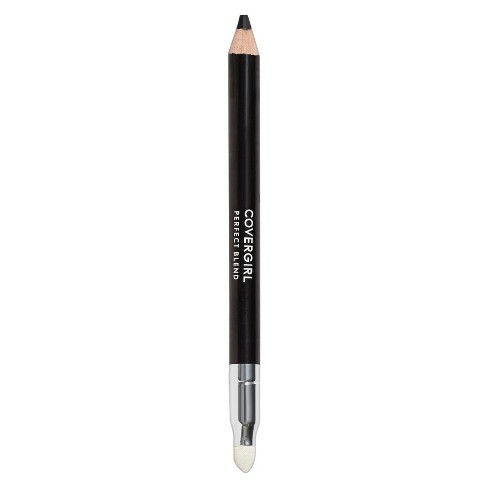 I always look for a pencil type, to avoid it breaking up in my makeup bag! I love trying out new colors! 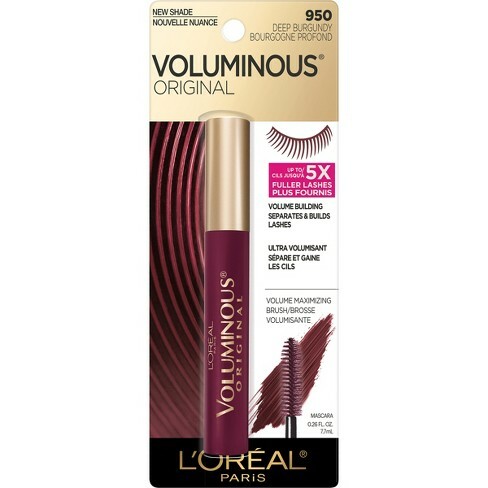 The Voluminous Mascara from Loreal is one of my favorites! I also love Loreal’s lipgloss line and eye shadow palette, which took me from Fall to Winter and going into Spring. Hope you’ve enjoyed my Trendy Travel Makeup List and that I’ve inspired you to pick up some of these must have travel beauty products and try on your next trip! What is in your travel makeup bag? Can’t wait to hear from you, as usual, give us a Trendy Shout! Need to tell you that some of the items on my makeup bag were given to me by the brand to try, but this is not a sponsored post and all opinions are my own! 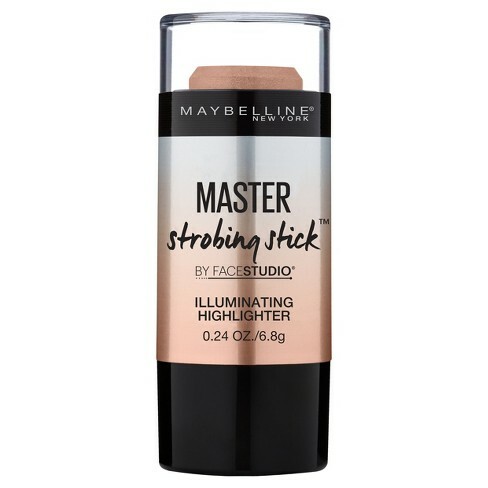 I really love the Maybelline Strobing stick too! It is so gentle on my skin! I want to try that strobing stick! I have also been trying to use some quick makeup for when I am working at home and just want to add a little color to my face and smooth out my skin tone without a full face of makeup and eye shadow. Just enough so I run to a store or even do a facebook live without feeling like I look like I just woke up! Thanks for sharing what you use. I always like to hear what other people recommend rather than guessing when I shop. The voluminous mascara is always my favorite and I have the IT foundation as well. They are both amazing! I’m not into make up really. But I love lipstick just so I have some color on my face. I like these list! I’m always looking for new lipsticks to try out! It’s so hard to find the perfect shade so I’m always looking! 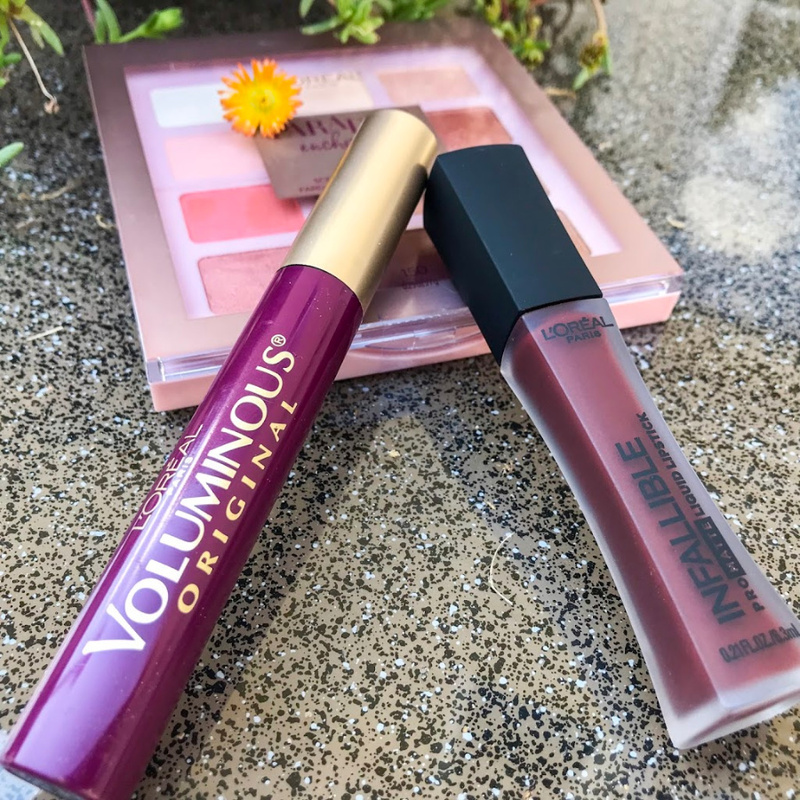 I have some of the infallible lip colors and they work amazingly well, even the glosses. Great recommendations! Proper skin care is definitely a must since it paves the way for a flawless canvas. I’m super intrigued by that burgundy mascara and look forward to giving it a try. Oh man. I am definitely going to try out one of those strobing sticks! That looks like just what I need to brighten up my complexion. 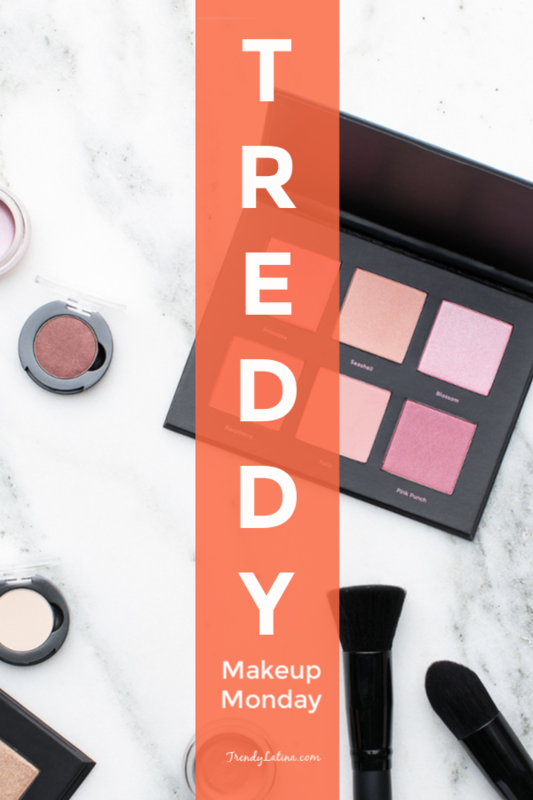 There are so many great makeup products out there these days. I am always looking for good ones to try out.